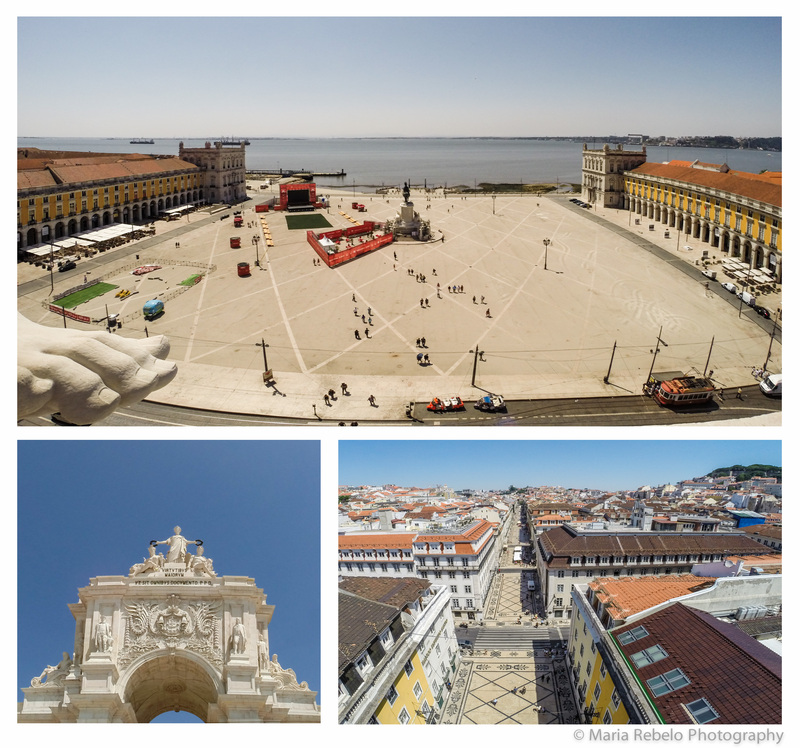 First impressions are important, so we recommend for your first stop in Lisbon the top of the Rua Augusta arch. More than a century in the making (from 1759 to 1875), the arch is a symbol of the reconstruction of the city after the devastating 1755 earthquake. The three statues on top of the arch (glory, valor, and genius) remind us of what Portugal at its best can do. The two statues on the sides, which personify the Douro and Tagus rivers, are symbols of the country’s natural beauty. The remaining four statues represent important historical figures: Viriato, a military leader who resisted the Roman invasion, Nuno Alvares Pereira, the hero of a key medieval battle against Castile, Vasco da Gama, the famous navigator, and the Marquis of Pombal, who oversaw the efforts to rebuild Lisbon after the earthquake. You can reach the top of the arch by elevator. The views are breathtaking. On the North side, you see St. Jorge’s castle, the ancient cathedral, and the spacious, orderly downtown district that replaced, after the earthquake, the narrow, irregular medieval streets. On the South side, you see Terreiro do Paço, the entry hall of the city, adorned by the Tagus river. And so you’ll meet Lisbon, a city that is rich and poor, extroverted and mysterious, an aristocratic old lady full of youthful charm. Thanks Ellen and Seth. We loved reading the blog with your sailing adventures! My favourite of all the capitals I’ve been to!